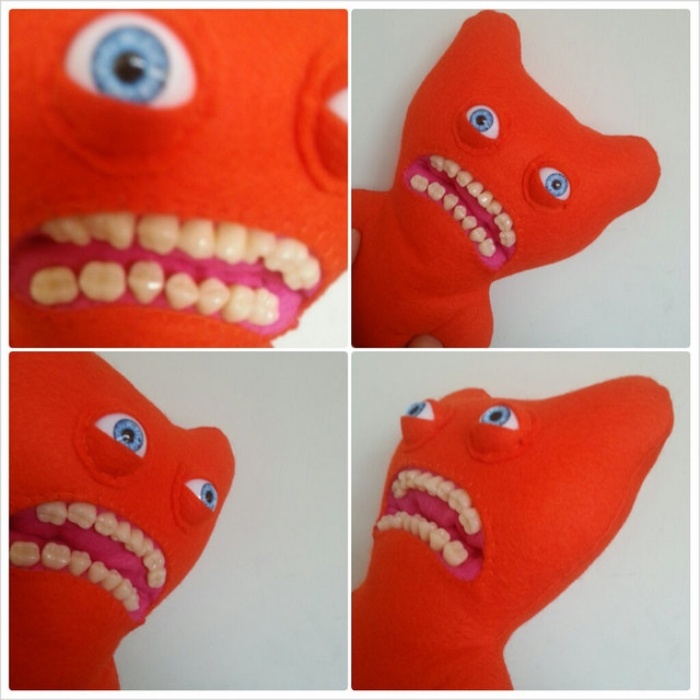 Fugglers are Creepy Plush Toys with Fake Human Teeth | OhGizmo! By Hazel Chua on 09/24/13 • Leave a comment! 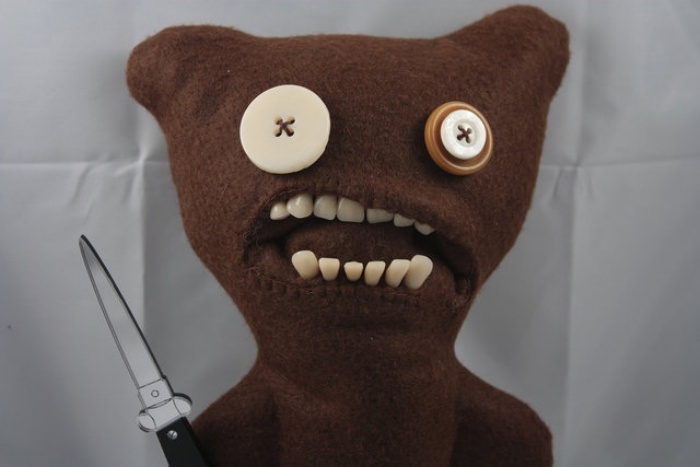 These Fugglers plush toys are the stuff of nightmares. They look all sorts of creepy, no thanks to the fact that their mouths are lined with fake human teeth. Some sport painful-looking grimaces, others wear expressions that scream bloody murder, and one in particular just looks plain crazy. Clearly they aren’t meant for the kids, but they might make for some interesting decorations come Halloween. Each of the Fugglers is handmade with love and care (that somehow got lost along the way) by Mrs. McGettrick of Canterbury, England. They’re available for purchase from the Fuggler Emporium on Etsy.